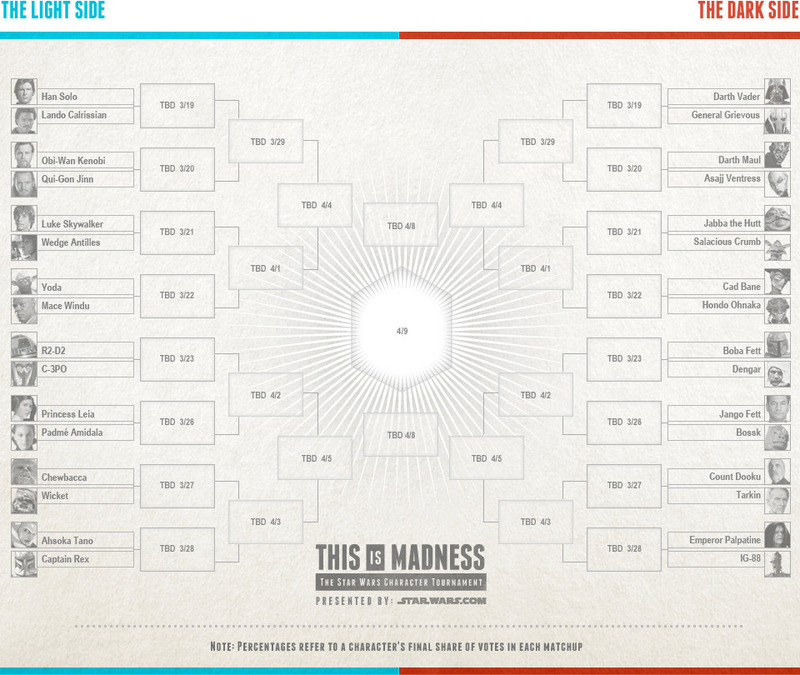 Last week Lucasfilm released a bracket-style tournament based around the idea of March Madness named “This is Madness” to decide once and for all which Star Wars character is the ultimate fan favourite. The fans are allowed to vote on a number of daily matchups at Starwars.com, which will affect the knockout stages of the tournament. Each ‘force’ is represented on either side, with good vs good and evil vs evil until the final battle where one side will reign supreme. The champion will be announced on Tuesday 9th April. I’d love to see Wicket come head to head with a grumpy-looking Darth Maul, but the choice is up to you. Which character do you want to see win? Let us know in the comments below.